As a family business, we've never been ones to rest on our laurels. We've always followed our passions, taken chances and strived to innovate, which is exactly how it all started in 1937 when my parents Alfred and Margaret started growing and selling roses just yards away from where we are now. Little did they know that their passion for plants would be the start of something so unique and special. As we celebrate our 80th anniversary we will be sharing our memories and remembering where it all began.  We hope you will enjoy finding out more about our family business. 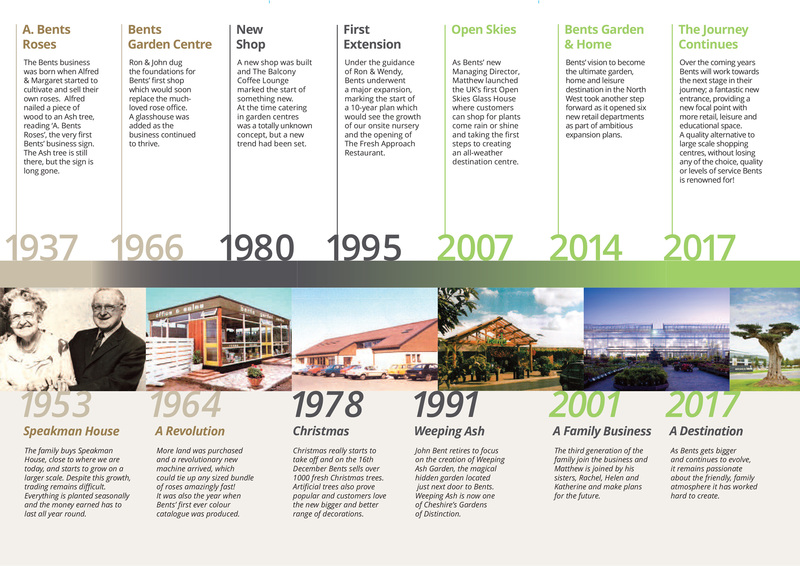 As Bents recently celebrated its 80th anniversary, it looks back on a long and happy history. It has always been a business which has followed its passions, taken chances and strived to innovate, which is how it all began in 1937 when Alfred and Margaret Bent started growing and selling roses in the front garden of their terraced house at 404 Warrington Road, Glazebury. Word soon got round and it wasn't long before their garden became the talk of the village and they started to sell some of their own roses further afield. Alfred experimented by growing his own rootstocks from rose hips collected from local hedgerows and also propagated apple trees and made a considerable contribution to the standardisation of their rootstocks. After the war Alfred was advised by his doctor to take an outside job full time. It was this advice that marked the start of the Bents’ family business. 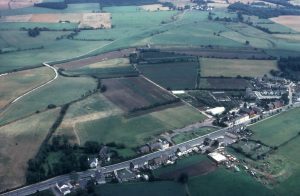 In the early 1950s he bought 16 acres belonging to the Speakman House to begin growing on a larger scale, but trading remained difficult; in those days there were no such things as garden centres. Everything was planted in November to December or March to April and the money earned had to last all year round. During the 1970s, Ron, his wife Wendy and brother John expanded the business even further. As well as handling all the wages, Wendy also ran the wholesale Christmas company, establishing what would become one of Bents most successful and favourite times of year. Ron and John continued to expand the business and by 1980 a new shop had opened on the centre’s current location. During the planning stages Ron suggested that food and drinks should be offered. At this time this was a totally unknown concept, that was mocked by some of our competitors, but unknown to Bents a new trend had been set! In 1988 Ron and Wendy bought John out from the Business and John dedicated his time to creating Weeping Ash, the magical hidden garden located just next door. Although retired, John can still be found around and about the garden centre, when not tending to his magnificent two acre garden. 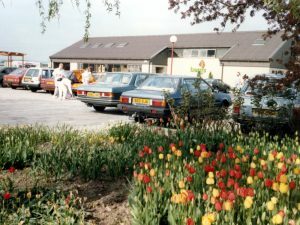 The business, under Ron and Wendy's guidance, thrived and by 1995 underwent another expansion with additional space added on to the existing building. 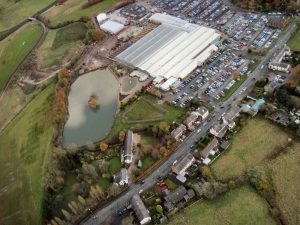 It marked the first phase of a 10-year plan, which has since seen the expansion of our on-site nursery where we grow and nurture over 60% of our plants, as well as the opening of the award-winning 'The Fresh Approach Restaurant'. Since 2001 the third generation of the Bents family - Matthew, Rachel, Helen and Katherine - has become involved in the running of Bents. 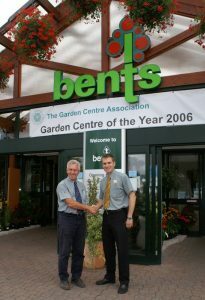 As Managing Director, Matthew is always looking to pursue new initiatives and ensure Bents remains at the very forefront of the garden retail industry. 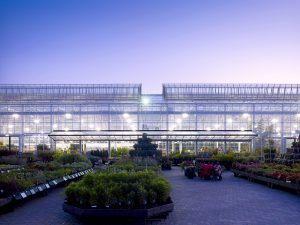 He has already delivered one of the UK’s most innovative and progressive new garden centre buildings, our Open Skies Glass House, and is helping to shape the future of Bents with even more exciting initiatives. As well as being mum to Oliver, Lucy, Thomas and Isabel, Rachel Bent is heavily involved in developing our award-winning Christmas displays; the planning of which is an annual 12 month project. 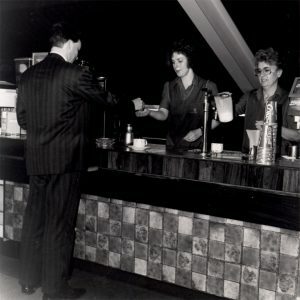 Having been fundamental in the planning and opening of the Fresh Approach Restaurant, Helen Bent directed the catering operation until June 2008. Head of Marketing, developing Bents’ marketing strategy for the Centre as a whole as well as looking after her four children William, Louis, Archie and Bella. Katherine Bent, the youngest of Ron & Wendy’s children, set up and ran the HR department at Bents for 8 years before taking on the role of Head of HR, managing and developing the Bents’ HR strategy.  And with Katherine’s children Jacob, Isaac and Isla and Matthew’s sons Ethan, Elliot and daughter Erin, the fourth generation of the Bents family currently stands at 14, so we can rest assured that Bents will remain a family business for many more years to come.